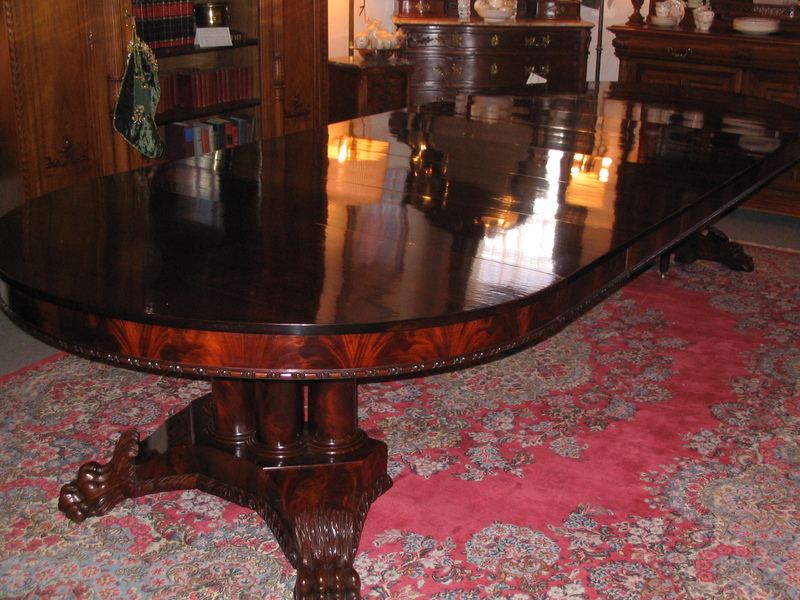 From a plain country Pine Table to the Grandest Mahogany Set. Every home needs a Dining table. 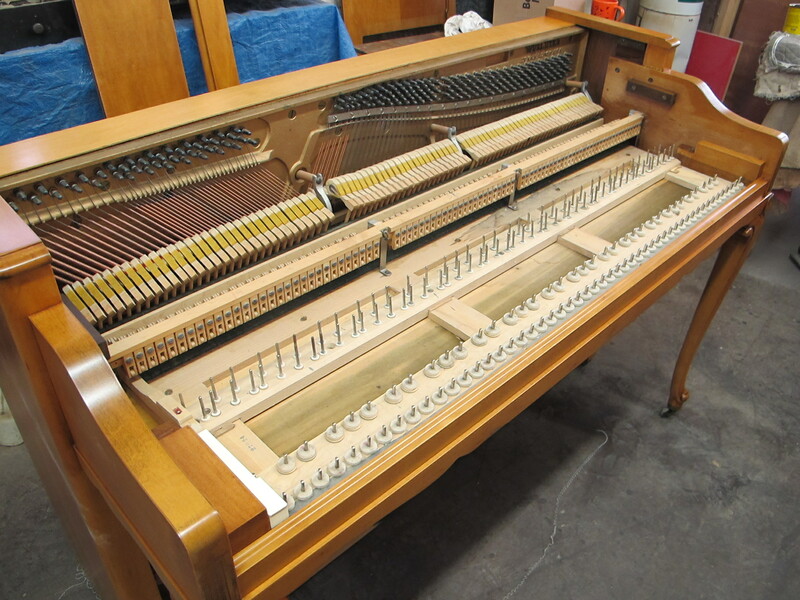 You may need a simple clean and wax, to a full restoration. The Old furniture is not only better made than what we see today in the stores, it also makes a lot of sense financially to keep what you already have. Missing leaves to that table? Many times the old leaves are missing, I have recreated a wide range of styles. Ranging from the Simple to the heavily carved. Maybe a broken chair? or the draws in your dresser don't slide like they use to? Over years of use the finish can look a little worse for wear. I can help with any refinishing requirement's you may have. Over the years I have seen many wonderful unique pieces of furniture. I take special care to keep all repairs appropriate for the period. For instance I will never use modern metal brackets to short cut repairs. Something I see all to often. Rebuilding chairs (A very common Item to come through the shop) I completely disassemble all the loose joints, clean them, re glue and clamp. This guarantee's years of trouble free sitting:) Special care is taken to choose the correct color and finish for each piece that may need help. 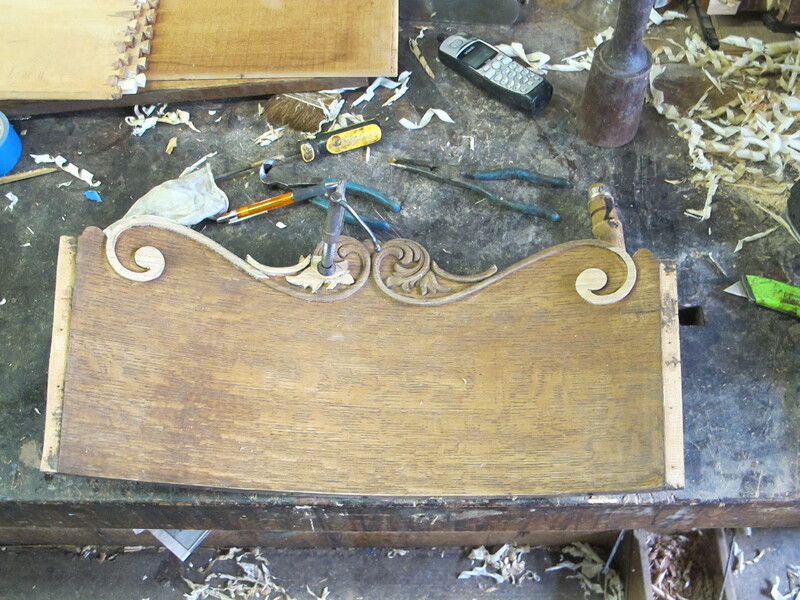 It is very easy to destroy the patina of an old piece of furniture. Sometime it makes sense for me to come to you. From picking up furniture from your home. Or possibly some onsite repairs and cleaning. 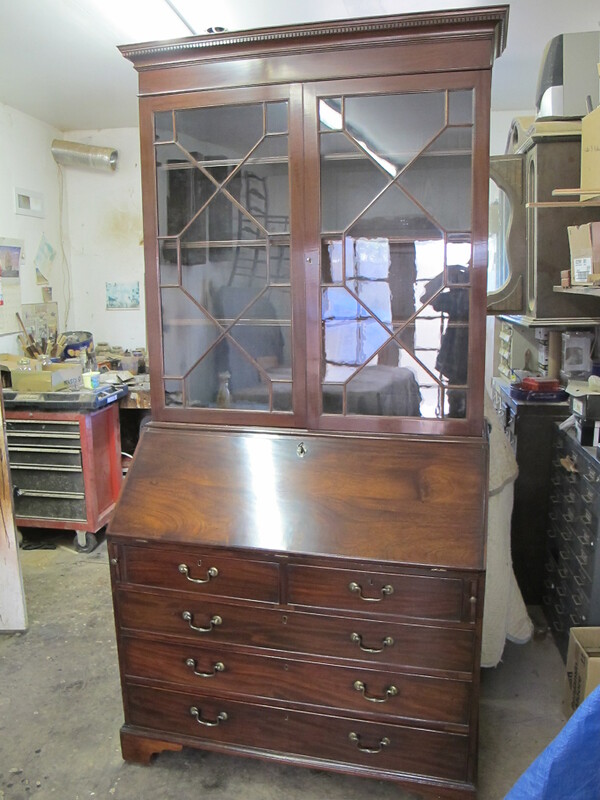 This Lovely early Bureau bookcase is not just elegant but very practical. I get this question a lot from the people I meet, to the customers that call. 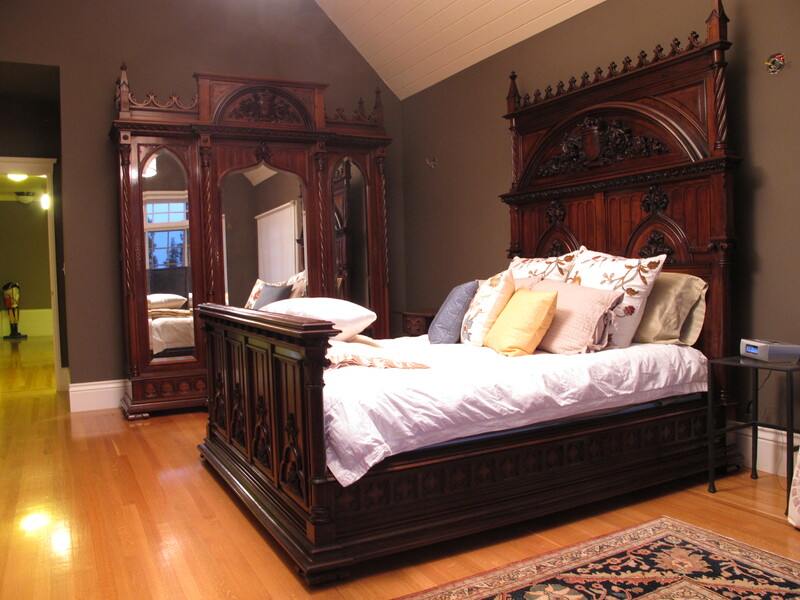 First and foremost I specialize in the restoration and preservation of all types of furniture. 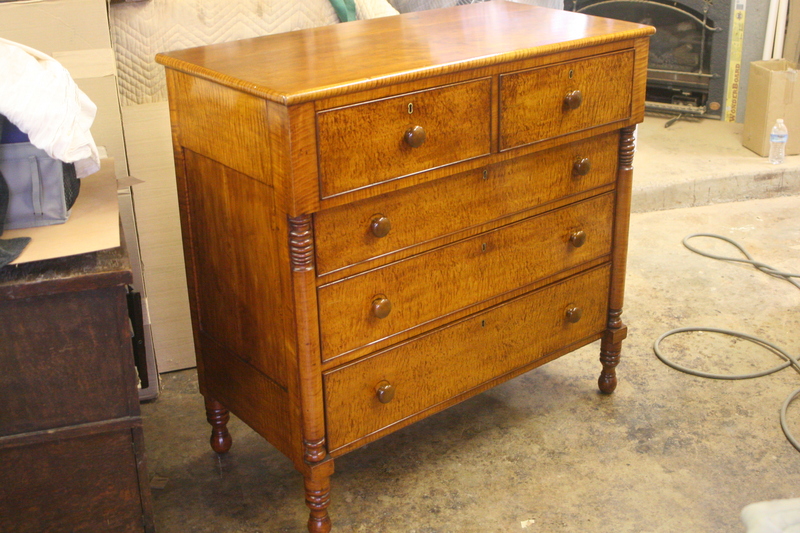 In the UK I had the privilege to work on pieces as old as 1650 to the Victorian period. I am able to offer services that are not commonly available. 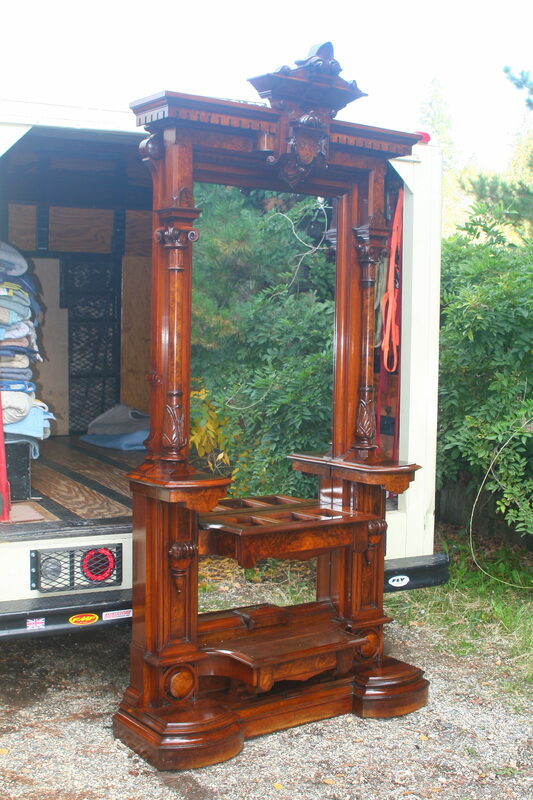 Such as French polishing, Carving, turning, veneer repair, re veneering, inlay repair and replacement, building reproductions, or even making something from scratch that you have seen. I take pride in what I do. Having over 32 years in the business here in the US and in England has given me lots of experience to draw from. Working for the Trade or with everyday people gives me great pleasure. I feel very fortunate to be in such a unique business. It won't fix itself:) Give me a call anytime to discuss what you have in mind.